Mark your calendar Vikings Fanatics! Vikings will be storming back onto your screens on Thursday, February 19 at 10/9c. 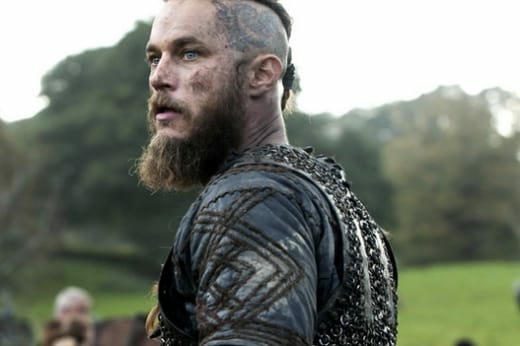 The 10-episode season will pick up with now King Ragnar bearing a lot of responsibility as a former farmer. After the promise of lands, Ragnar leads his people to Wessex, but even with their fate uncertain he can't stop his wanderlust. His next stop? Paris! Long rumored to be impenetrable, Ragnar will lead his Norsemen to "break down its walls and cement the Vikings legend in history," according to a press release from History. Kalf (Ben Robson) – Lagertha’s young, handsome second in command. She is fond of him and trusts him to look after her affairs while she is away, but it is possible that Kalf is more ambitious and calculating than he appears. Harbard (Kevin Durand) – A wanderer who turns up unexpectedly in Kattagat when Ragnar and most of the men of the town are away raiding. Harbard will have a profound effect on Queen Aslaug, Siggy and Helga, all of whom have had the same dream, presaging his arrival. Emperor Charles of France (Lothaire Bluteau) – A complex, troubled and powerful man who views battling the Vikings as spiritual and earthly. Princess Gisla (Morgane Polanski) – The daughter of Emperor Charles and a beautiful, young woman of considerable courage and resolution. Raise your drinking horn and celebrate the return!